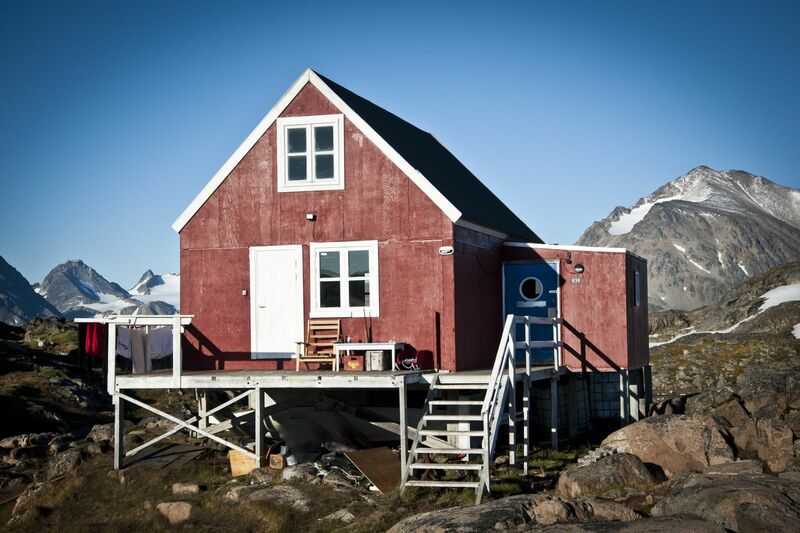 My colleagues at the Icelandic Mountainguides were sure I was the right person to establish, renovate and run a small hostel in Kulusuk, East Greenland. After the challenges of the first month – June 2013 – I was convinced and grateful that they were right. Now, Kulusuk Hostel is my second home. The Hostel is a “selv-bygge-hus” from 1983, a small wooden house on stilts, that are imported in packages not so much unlike IKEA’s flat-packs. These houses are typical for the Greenlandic Settlements, but here, the “kaffimik” – or the coffee invitation – are a bit less Greenlandic. They consists of Italian-Mokka-coffee and Icelandic pancakes rather than seal-jerky and blubber. These delicatessens are offered to foreign hikers, kayakers, rock-clibers, skiers and other curious travellers, the children who regularly visit, the hunters, those who have stories to tell, those how prefer to hear my stories, or just come and drink coffee and listen to the radio with me.